"We continually evaluate our sponsorships as our business priorities evolve and we're adjusting our portfolio to reflect those priorities," said Eelco van der Noll, vp of experiential marketing, in a statement. "We're proud of our long-term partnership with the USOC and all that we have accomplished together on behalf of America's athletes." Budweiser's advertising for last year's Rio Olympics was part of its "America" campaign, where the Belgian-Brazilian brewing company redesigned its cans and bottles, replacing "Budweiser" with "America." 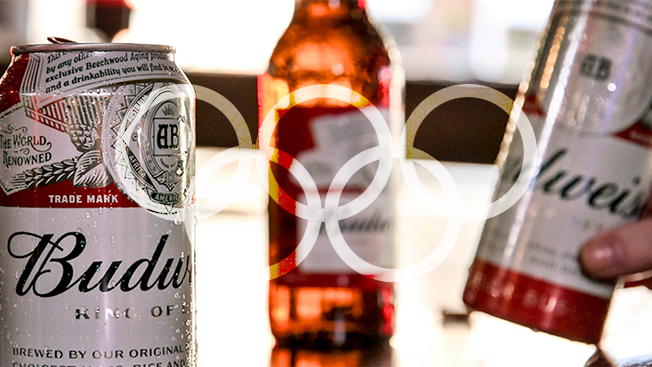 Budweiser also sponsored a mural featuring six Olympic and Paralympic athletes in Manhattan, and ran a branded content series with the athletes during the Games. Other brands that did not renew their USOC sponsorships after the Rio games included TD Ameritrade, Citi and Hilton. Brands like Coca-Cola, McDonald's, P&G and Visa maintain their worldwide sponsorship deals with the USOC. Anheuser-Busch continues to have a major presence as an advertiser in other massive sporting events, like the Super Bowl, where it will air spots this year for Busch, Michelob Ultra and Budweiser. Bud Light's spot will debut a new tagline, "Famous among friends."